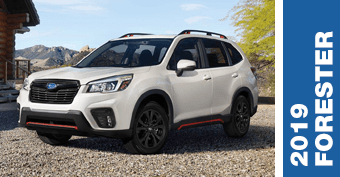 The new 2019 Subaru models are arriving, and they're better than ever! 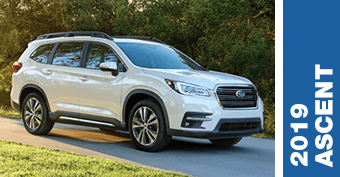 For the 2019 model year, Subaru has updated its impressive existing vehicles, and has also added an all-new SUV model: the three-row 2019 Subaru Ascent. 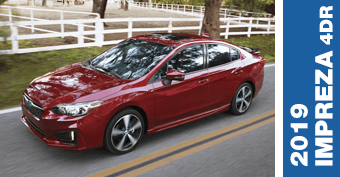 These vehicles continue to demonstrate the high quality Subaru is known for. However, reputation alone isn't enough to select a vehicle. It's important to compare different vehicles from different manufacturers before coming to a decision. That's the purpose of these pages. 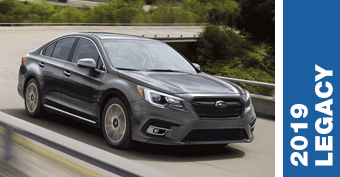 They contain information showing how the new 2019 Subaru models compare to similar vehicles from other manufacturers, as well as what differences and similarities exist between the different 2019 Subaru models. 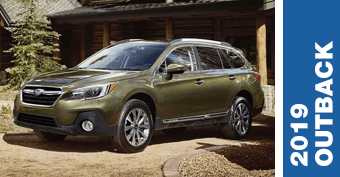 Whether you want to learn more about why you should choose Subaru, or you already know that Subaru is right for you, these pages are filled with valuable information that's designed to help you find the right vehicle for your needs. 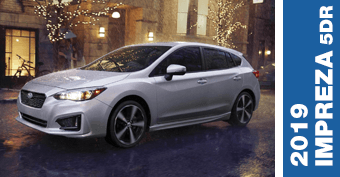 What Makes Subaru Vehicles Special? Subaru vehicles have earned an impressive reputation that comes from dedication to quality. In addition to earning numerous industry awards, 97% of all Subaru models sold within the past decade are still on the road today. 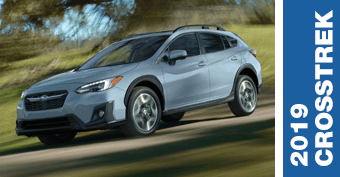 Additionally, Subaru gives back to local communities through the Subaru Love Promise--and Subaru is also America's first Zero-Landfill automaker. There's so much to love about Subaru.